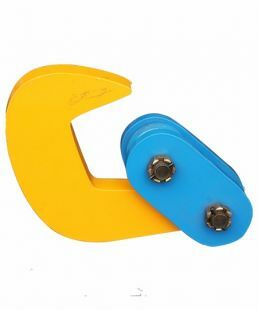 The drum clamp has been designed to lift and transport steel drums. 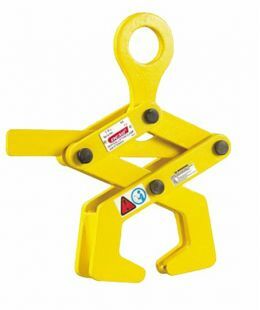 This clamp is extremely light weight and very quick and easy to use. 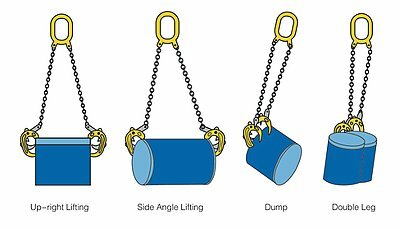 If moving empty or sealed drums then one clamp is sufficient on its own. 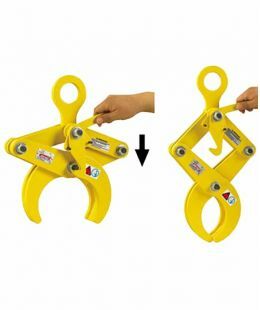 Should you be lifting an open full drum, then two clamps should be used with a two leg chain sling. 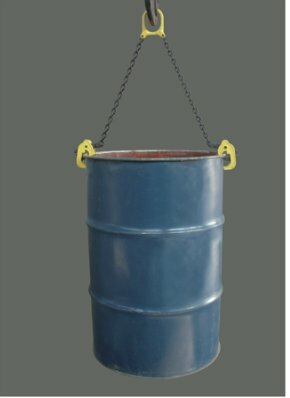 Use for both horizontal and vertical lifting of (oil) drums. It can be used in single or in pairs. The automatic lock mechanism keeps it safe and reliable. No collision when the clamp is loaded. 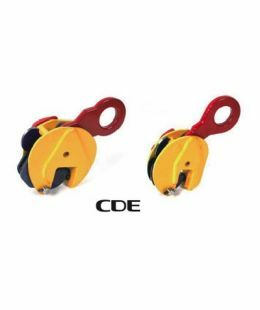 The clamp is in compact shape, lightweight and easy to use. 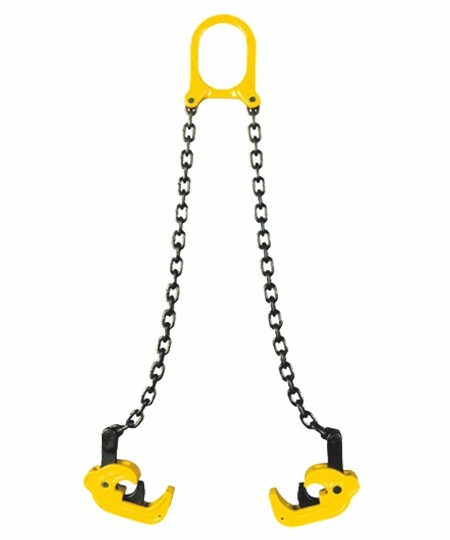 Grade 80 chain sling used for 2 legs.